Lifts properly serviced and maintained can last years and tend to have a longer life cycle than most if not all other forms of transportation. Here at Stannah it's not uncommon for us to be servicing existing passenger lifts that are over 30 years old. However, like any electrical and mechanical equipment, a lift eventually needs to be replaced or thoroughly updated. After many years of use, regular lift maintenance may no longer be enough. As parts wear out, you may be paying more for repairs. It may be more difficult to find spare parts for an old lift, so it may be out of order for a longer time. It's estimated that almost half of passenger and goods passenger lifts in use were installed more than 25 years ago. In the case of an existing passenger lift installation it should not be assumed that the equipment complies with all current regulations and/or standards. This is particularly unlikely in the event of equipment that is over ten years of age. Also to be considered is that within the useful life expectancy of a building, which may be as much as 60 years, a lift refurbishment, lift upgrade, or even total replacement of the equipment may occur several times. The lift modernisation process involves the replacement of obsolete components with their modern equivalents. In addition to this, new features are added that were not available when the lift was originally installed. This results in a 'new' safer lift that not only complies with the latest legislation and standards, but also offers improved reliability, enhances traffic flow within the building and has superior finishes. A modernisation might involve replacing the drive unit, gearbox and control system of your lift. This will result in a faster lift with a smoother ride, and could incorporate an ‘intelligent’ control system offering improved traffic flow within the building. Old, unreliable components might cause a lift to break down regularly, resulting in costs from both periods of downtime and repairing the lift. Replacement of these components (along with regular maintenance) will reduce lift downtime, offering improved reliability and lower running costs. While the reasons above would obviously add value to the lift, and therefore the building in which it is situated; aesthetic improvements can also offer similar benefits. These might involve 're-skinning' landing doors, replacing lighting, new lift car finishes, adding CCTV or fitting mirrors within the car. BS EN 81-82:2013 - Rules for upgrading existing lifts for persons with disability - providing guidance to building owners and lift service providers, addressing where it is considered additional measures may be required to improve the accessibility of the lift and this way also the access to each level of the building. Applying these standards enables each lift to be audited to provide corrective actions to progressively and selectively improve, step by step, the level of accessibility, safety and safe-working of existing lifts towards a modern lift equivalent. There are many features that can be added to a lift in order to meet the needs of disabled users, and help the lift to comply the latest lift standards. Changes in legislation mean there are now; voice enunciators to tell passengers the direction of travel and the approaching floor level; travel direction and current position of the lift car should be shown by in-car and landing digital position indicators; other features include large, tactile and/or braille push buttons and infra-red door detectors. Importantly many new lifts have emergency communication systems; to enable passengers to communicate and notify of an entrapment. At Stannah Lift Services we would always recommend installing an emergency communication system into an existing lift. What type of adjustments can be expected? Component upgrades - a quick and cost-effective way to make small improvements to your lift. These upgrades includes items such as fitting a handrail; installing a mirror to help wheelchair users negotiate entry and exit when turning space is limited; installing floor position indicator or a voice enunciator. 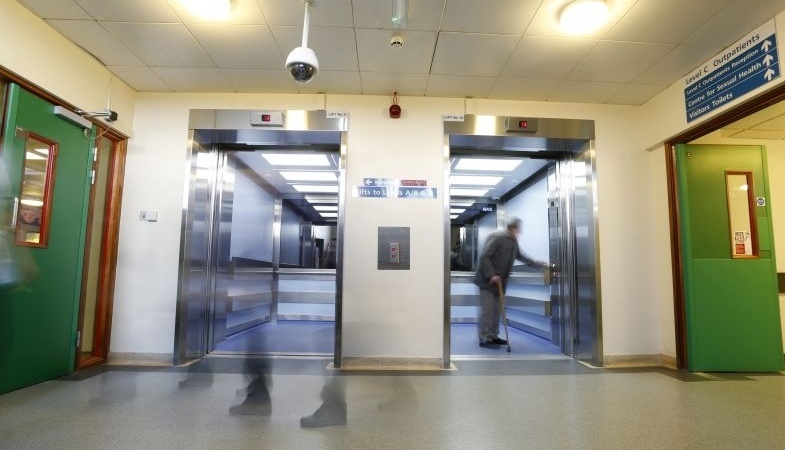 Systems modernisation - improving the performance of your lift by updating entire systems, for example the emergency communication devices, electrics, lifting or door systems. Full replacements - completely removing your old lift and installing a brand new one in your building’s existing lift shaft. Health and safety is becoming ever more important in all our lives. Lifts, particularly older ones, can be dangerous without appropriate maintenance. Modern technology allows us to incorporate more sophisticated safety devices, offering benefits to building owners, lift users and service engineers alike. A reputable lift service provider, like Stannah can help with understanding what you want out of your lift modernisation and the likely costs and benefits. Then if you decide to go ahead we project manage the lift modernisation from start to finish; overseeing the work on site to ensure it's correctly installed and on time through to witness testing and commissioning.